Oukitel U18 – Imitation is the sincerest form of flattery! 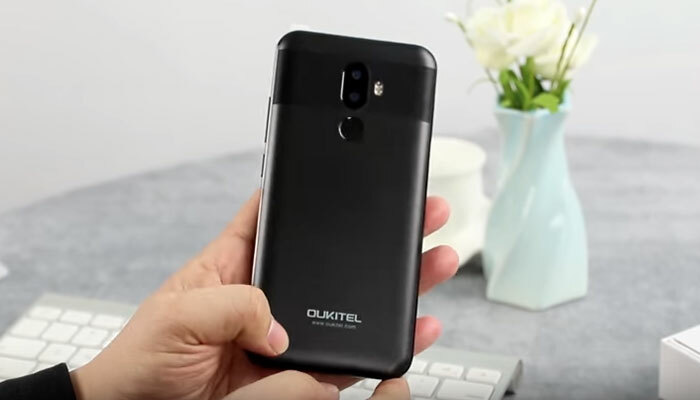 The Oukitel U18 looks like an iPhone X. There, I’ve said it… Now I can get on with the rest of the review! Sorry but I had to get that out of the way, it’s the first thing you’ll notice about this phone. So, we know what it looks like, but what else do we know about the Oukitel U18? With an entry-level octacore CPU it’s definitely not going to perform like the aforementioned fruit-based smartphone. However, there is still a market for budget smartphones and you won’t be able to get a better looking phone at the price of the Oukitel U18. So, we’ve got a phone with a full-screen display, other than a ‘notch’ at the top for the speaker, selfie camera, notification LED and sensors. So far, it’s somewhat familiar. But, you can’t help but notice the small bezel below the U18’s screen. Try as they might, Oukitel couldn’t quite give us the full screen experience that Apple did. You do get an extra .05 of an inch of screen on the U18, but it’s 1 point to the iPhone. In terms of display tech, the U18’s 5.85 inch has an HD+ resolution of 1512 x 720 and a 21:9 ratio. I know that sounds a bit weird given today’s trend of 18:9 displays. 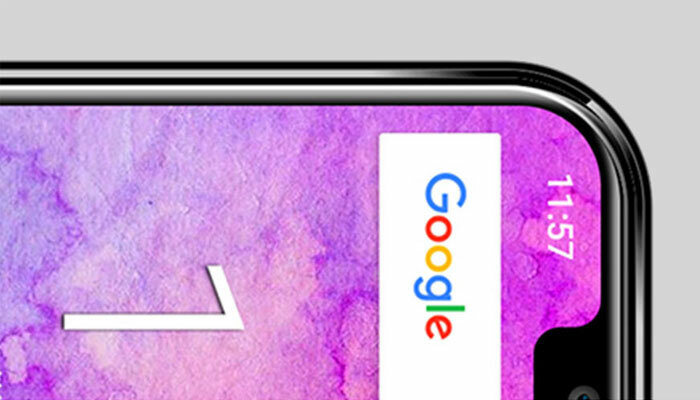 The difference can be explained by the areas either side of the notch, which are used for notifications. Otherwise, the design is… quite nice! The cellular antennae are hidden nicely in the edge of the phone and there is a little bit of detailing around the camera to break up the monotony of the rear panel. 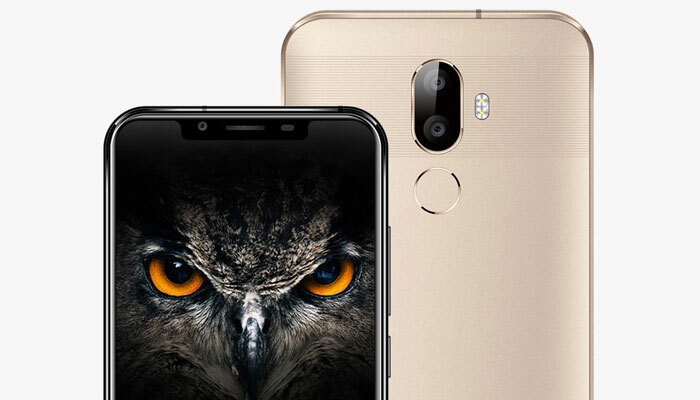 The body of the phone is made of an aluminium alloy, and in terms of width and height the U18 compares very favourably against 5.5 inch screen phones such as the Redmi Note 4. The edges are curved front and rear to make it more easy to hold, but at a full 10mm thick at the fattest point, and weighing in at 213g this is a phone that is hefty to say the least! The U18 may look the business, but under the hood it is running hardware much more in keeping with its modest price tag. The MediaTek MT6750T is not the worst CPU out there, in fact as Beki pointed out in the UMiDigi Crystal Pro review it’s ideal for light users. But there is no getting away from it, the U18 is not the phone for you if you’re a heavy gamer or multi-tasker. What you’re getting is an octacore CPU running at a maximum of 1.5GHz, backed up with 4GB RAM. It goes to show how mature the smartphone market is now that this is considered a budget specification! Unfortunately the U18 ships with Android 7.0. This is slightly disappointing, as we’re now coming up to 6 months since Oreo was released and we’ve yet to see a true budget device get released with Android 8. Oukitel have promised to release a quick upgrade to Oreo… Hopefully the ‘wait for 8’ won’t be too long! This could be a real plus point for the Oukitel U18… While it’s definitely getting a little long in the tooth, the 16MP Sony IMX135 Exmoor sensor used in the U18’s primary camera is still capable of taking some great images if configured properly. The U18 also has a 5MP secondary camera for portrait/bokeh effects, and an 8MP selfie camera completes the line up. Of course, as per the phone that the U18 takes its inspiration from, there is the feature that no phone in 2018 can do without, Face ID security. The Oukitel U18 comes with a 4000mAh battery. This should provide enough power to make it last up to 2 days with moderate usage. Backing this up, Oukitel have implemented a ‘Super Power Saving Mode’ to keep the lights on even longer. This is one area where an underclocked CPU and a lower screen resolution will be a benefit to the U18. Having a slower CPU and fewer pixels to power will naturally reduce battery consumption. At least charging the U18 won’t be too much of a chore, with a 2 amp USB-C charging connector. With budget devices now featuring USB-C it’s clear the days of the old micro USB charging cables are drawing to a close. As we saw with the glut of ‘Tri Bezel-less’ phones released after the Xiaomi Mi Mix first appeared, or the wave of Chinese devices sporting an ‘Infinity Display’ when the Galaxy S8 was leaked, there will always be a rush to imitate the latest screen fashions. Hot on the heels of the U18, expect to see the Leagoo S9 and Oppo R13 also rocking the familiar notch. The Oukitel U18 gets the honours as the first iPhone X clone though, but will it offer anything else? It’s easy to forget that not everyone needs a phone that will play first person shooters with no stutter. For many people, a phone that can run social media apps, play multimedia, take the odd photo and provide internet access is more than enough. So I’d say that if your smartphone needs are modest, but you still want a phone that looks good, then the Oukitel U18 is likely to be the phone for you. It’s a good value option that will do everything you need and fool a few people along the way. 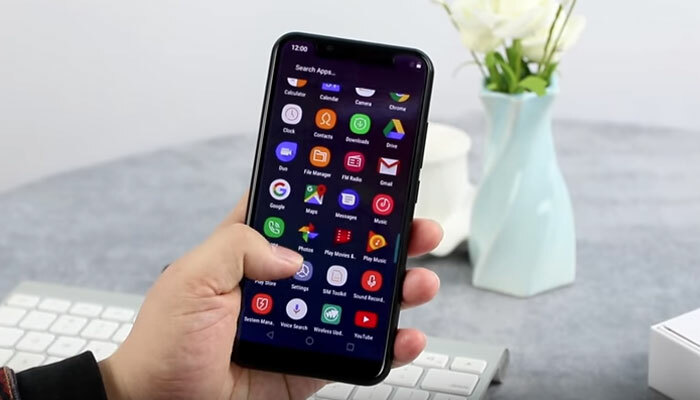 Has the Budget Oukitel U18 ‘Notch’ got you excited about the future of Android? UK Network Coverage? Yes, the Oukitel U18 comes with full UK Support for all carriers. Please note that although these specs are not expected to change, this is a pre-order device and there may be some differences in the release model.